We love Huber’s for their fine selection of gourmet meats and groceries which we shared in our previous post. 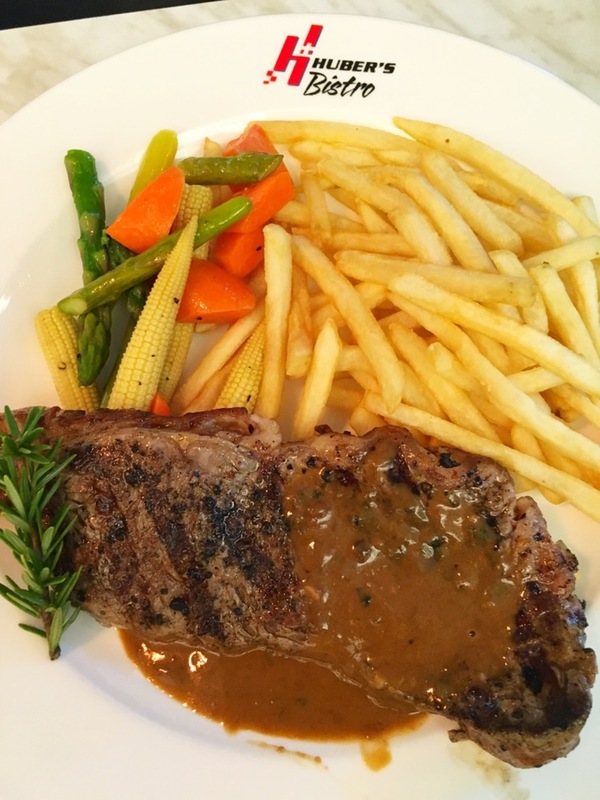 Therefore, we had high expectations of the food at their bistro. 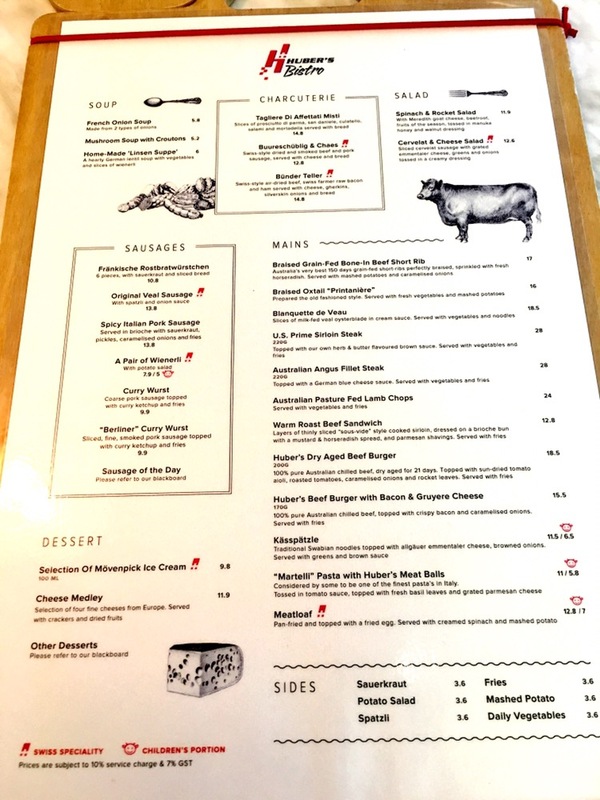 The bistro had simple decor, indoor and outdoor seating available, no frills and so was the menu. We could easily decide what to have. 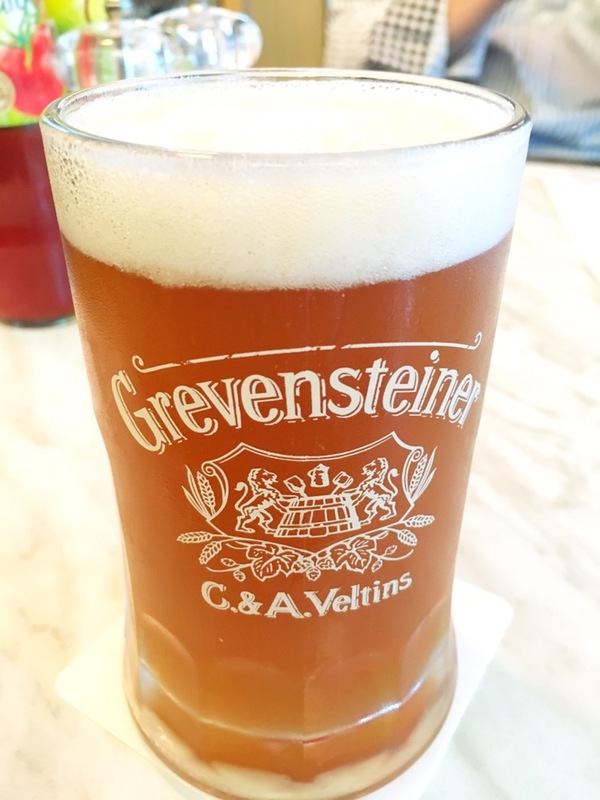 The German Veltins Grevensteiner beer with hints of caramel and honey, nuts and apples, was enjoyable and refreshing. 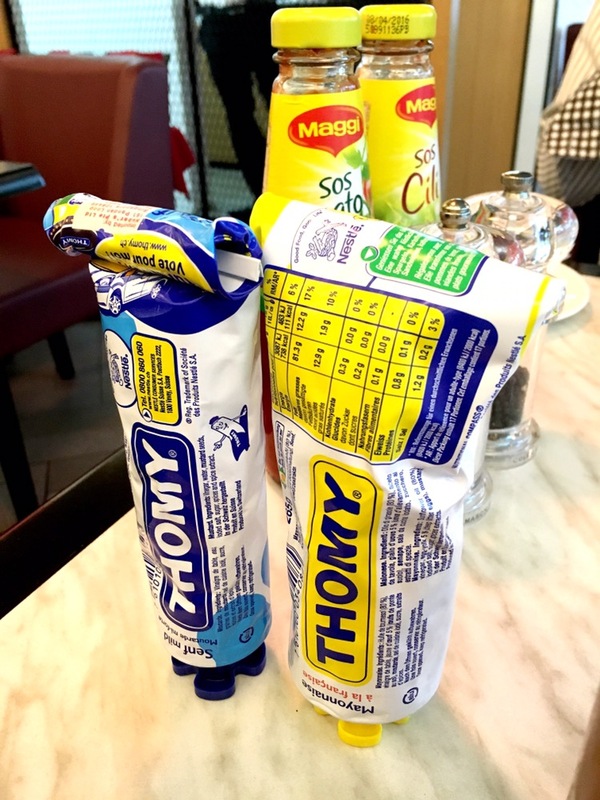 Then the wait staff brought us tubes of condiments of mayonnaise, mustard, ketchup and chili sauce. 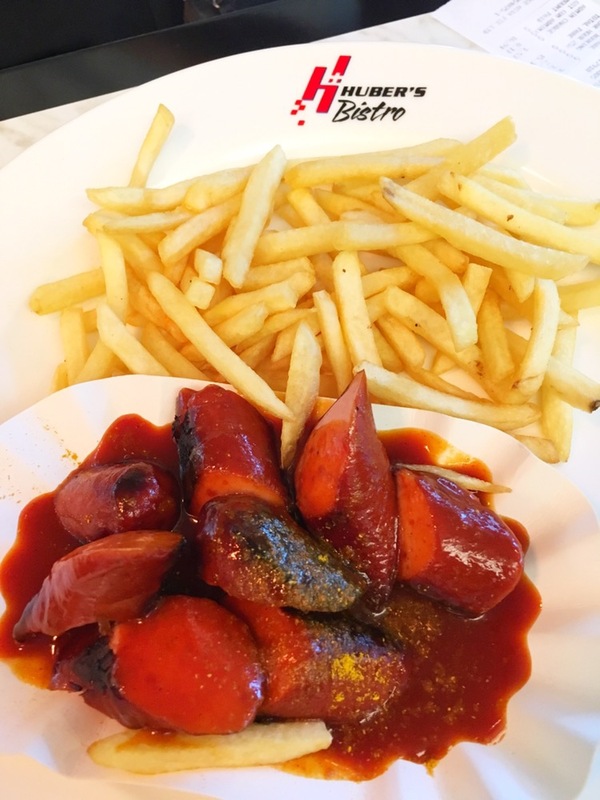 The mix of mustard and mayonnaise went so well with the fries and currywurst. 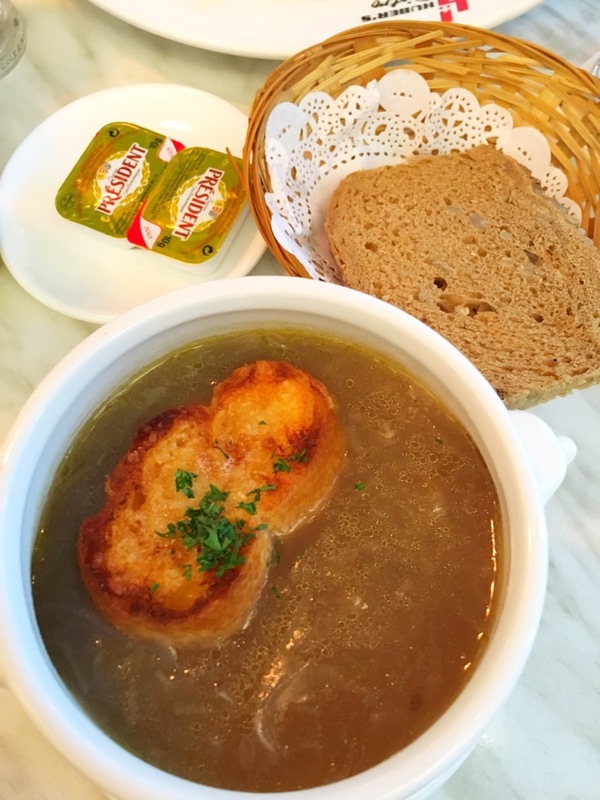 We liked the French onion soup, which was flavorful and light at the same time. 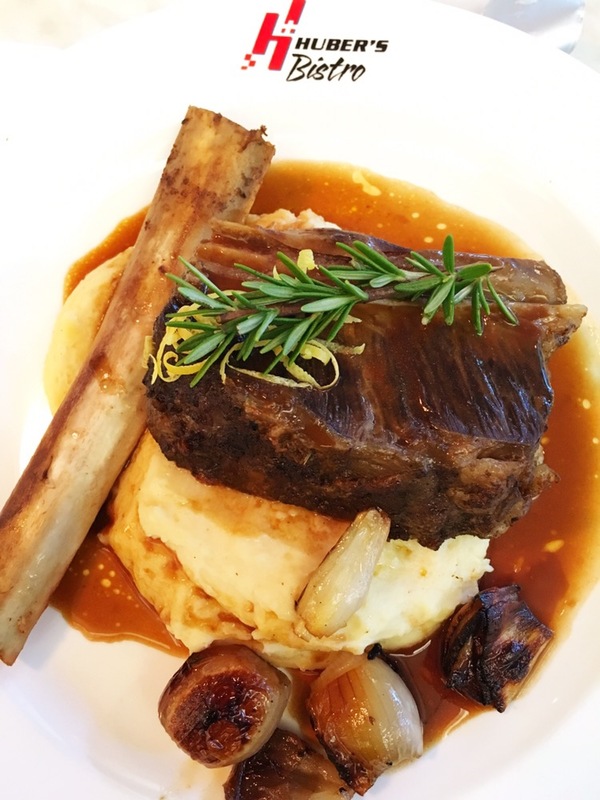 For our mains, we ordered the US prime sirloin steak (medium rare) and braised grain fed bone in beef short rib. The steak was a little lacklustre in flavor and plating but the short rib on the other hand, delicious! Overall we enjoyed the meal and would be back for the onion soup and short rib.